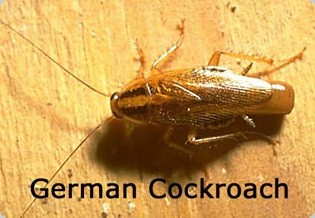 A call for a Multi-unit German Cockroach Service, and how AmeriGuard handled it. Last week AmeriGuard received a call from a property owner who owns a 4-Plex in Hemet, CA, looking for a quote to eliminate roaches in his building. Before we could quote him it was important to first ask him a few questions regarding when, where, and how often the tenants were finding these roaches in their units. The landlord mentioned he had a few tenants who were complaining about roaches in and around the kitchen cabinets, drawers, appliances, and in other random locations. We informed him that German Roaches are well known indoor pest and most common in apartments or any form of homes that share common walls with others. 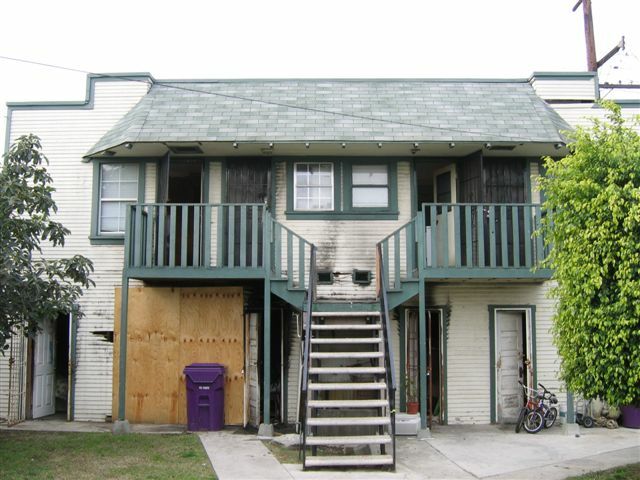 After determining the type of roaches that the tenants were being infested with, we suggested treating all units on the property at the same time with a high quality transferable product such as Transport Mikron, an insect Growth regulator such as Nyguard, and a flushing agent in order to speed up the process. As in most German Roach services, this was also set up to have a two week follow up with a Baiting only treatment. This two week follow up helps eliminate any residual roaches that might be remaining from the previous treatment, as well as attracting the remaining roaches out of their hiding places. In many cases, a few monthly follow ups may be required in order to gain complete control of the infestation in severe cases. We also stressed the importance of good sanitation practices by his tenants in order to help prevent such an infestation in the future. AmeriGuard always recommends that landlords perform at least one annual inspection to determine if good sanitation is being practiced in his or her units. After a very detailed conversation with the landlord, he agreed that treating all four units would be most effective treatment in his case due to the fact that German Roaches at times may tend to relocate to an untreated unit. He agreed and wanted to set up the service for this week. Since there are multiple tenants, we asked him to check in with all four tenants to see what day and time would be the most convenient for all parties involved. Once we had a date and time set, our office administrator Rosemary emailed the landlord a copy of our company German Roach Tenant Preparation Sheet (which can be found on our website for more information) with instructions on how the tenants should be properly prepared for service before we arrive. It is extremely important that each tenant be provided with a preparation sheet in order to be fully prepared before our technicians show up on site. Our office also mentioned to him that please provide the tenants with our direct office phone number in case the tenants had any questions or concerns. It is very important for us to provide each customer with accurate information and be available to all and every customer. Our new customer was not only happy with our service but appreciated all the time and effect we put in to provide him with accurate information and willingness to work with him and his tenants. When it comes to a German roach infestation, success can only be achieved with the full participation of all parties involved. High quality pest control products will only be partially effective without the cooperation of the tenants preparation and sanitary practices.